In our penultimate update, we discuss the third- and second-best games of 2010 in great detail. They couldn't be more different, but they're both fantastic experiences that take big risks and push the medium forward in significant and often unexpected ways. Let's check it out, yo. Mass Effect 2 is the most important game I have ever played. Forgive me if that seems hyperbolic, but right now it certainly feels that way. Last night, a series of unfortunate circumstances led to the inadvertent deletion of every single item on my Xbox 360 -- truly every gamer’s worst nightmare. But there was really only one group of saves that was truly important to me: My playthroughs of Mass Effect 1 and 2.Even a decade after Baldur’s Gate II set the precedent for importing save files from the first game in a series, few sequels take into account the investment players make and track them from one game to another, and no game franchise ties the stories together to the extent that Mass Effect does. After I played through Mass Effect 1, details from those stories followed into Mass Effect 2 and allowed me to continue the story I chose to construct. I wasn’t playing as the default Commander John Shepard that BioWare created. Instead, I was Commander Olivia Shepard: biotic adept, friend of Urdnot Wrex, and lover of Asari and Drell. Though choices in Mass Effect 2 are often binary, the characterization and writing in the game are so strong that it’s easy to identify with your Shepard and his or her decisions. Mass Effect’s greatest strength, the connection between games and continuation of the story of Commander Shepard, is also in a way one of its greatest weaknesses. There is much to be gained by experiencing the first game in the trilogy; so much so, in fact, that when you don’t continue the story from a Mass Effect 1 save, the game makes certain assumptions about your protagonist and the state of the universe that I fear water down the overall experience. The saving grace for newcomers and icing on the cake for series fans is the depth of the science-fiction wonderland BioWare has constructed and strong characterization of Shepard’s suicide squad. Some Mass Effect loyalists were initially upset that certain characters were either not featured in the sequel or not available as squad members, but the new characters in the game are given so much personality that it more than makes up for any absences. 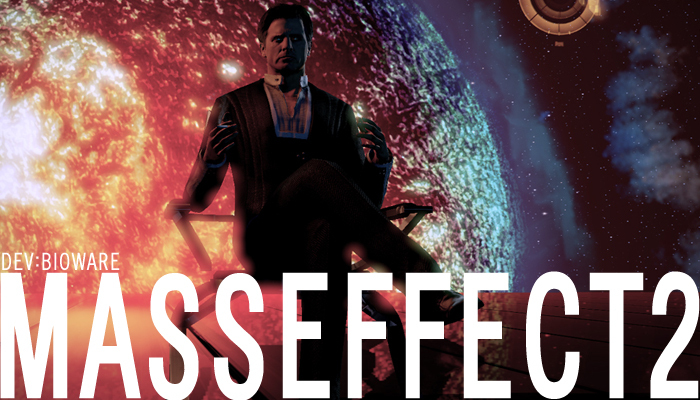 Mass Effect 2 is also meaningful to games as a medium. The ability to experience a story as the player and not a spectator is something games are theoretically capable of but rarely execute successfully. Add to that the ability to experience the story and world of Mass Effect in such depth across two separate games, and it becomes something truly exceptional. In the two years we’ve been doing this thing, no game has ever sparked such surprise and heated debate among us as Minecraft did when it showed up in our list of potential candidates.Or when it made it onto our top ten list. Or when it firmly lodged itself in the top three. Or when it looked like it had a serious shot at the top slot for 2010.Needless to say, the Mass Effect 2 stalwarts just about lost it when a strange little game from an independent Swedish developer -- a game that was still in alpha -- was being considered for the top slot in our Best of 2010 feature. How the hell did that happen? After all, is Minecraft even a game? And can you even consider a game for a Game of the Year list when the full version isn’t out? There aren’t really any rules for this kind of a situation, and that alone ought to tell you something about Markus Persson’s indie blockbuster (pun intended). But because the game became such an important topic in games this year and so many of us whiled away countless hours in its cubic landscapes this year -- not to mention you can purchase and play it right now -- we decided this was the year to consider Minecraft. Minecraft is bursting with indie charm: Its minimalist art style is beautiful in its own way, its music and sound effects are rough but endearing, and the rectangular creatures that populate its hills and caves move with an awkward, comical stiffness. But its greatest success is in how it expertly takes a vast, diverse sandbox setting with limitless possibilities and makes it almost instantly accessible and engaging for a surprisingly broad audience. Although everyone’s first few minutes with the game are usually a bit confusing and directionless, the game communicates new objectives and possibilities in seamless and purely diegetic fashion. The sun is going down? You’d better build a shelter. Need better materials to build more efficiently? Time to explore some caves. Too many monsters in the caves? Time to invest in some weaponry and clever defenses. As the game plays out, the player inevitably becomes more confident in their ability to navigate and transform the world in more cunning and creative ways. That experience is even more enthralling when played online collaboratively, where each player’s labors are shared and used in a (slightly) public space. It will be fascinating to see where Minecraft goes in 2011, but its impact on the games industry at large is already quite clear. It’s a monumental achievement from a small developer, both in terms of the purity of its vision and design and in its massive sales numbers even in its pre-retail release form -- nearly one million copies have been sold as of this writing. The game caught fire by word-of-mouth after the Alpha version was released in June, an impromptu “free weekend” was declared by Persson after the authentication servers were overwhelmed when the game was featured by Penny Arcade, and the “everything free forever” last-minute pitch to attract more buyers before the game moved to Beta form on December 20 drove sales higher still. It’s an astounding case study in how to market a game independently.